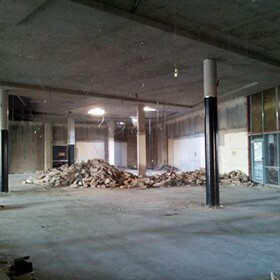 We at Prime Demolition and Excavation provide quality demolition services and excavation services to residential, industrial and commercial clients in Sydney for all sizes of projects. Prime Demolition and Excavation offer free quotations on all aspects of demolition, excavation and asbestos removals for your project. Prime Demolition and Excavation are fully licensed and insured. Our staff and contractors comply with WorkCover requirements and Australian Standards 2601-2001. Prime Demolition and Excavation is a family owned company based in Sydney. We have been in the demolition, excavation and civil works industries for the past 12 years. We pride ourselves in being professional, cost effective, on budget, on time, safe to our workers, clients, neighbours and we are environmentally friendly. We move, cut, shape or fill any part of the land to your needs.